When you’re in the middle of a dental emergency and your teeth are hurting, you really don’t want to have to think too hard about what to do next. You need care, and you need it right away. Instead of searching on the internet or wasting time at the local clinic, just put Bethel Dental’s number in your phone right now, and you’ll be all set should you ever need urgent dental care. We’re ready and able to help emergency patients and provide fast pain relief whenever necessary. Just give us a call, and we’ll schedule an appointment to see you as soon as possible – preferably the same day! Dental emergencies can occur due to many reasons, such as someone developing a severe tooth infection or being in a traumatic accident. No matter the situation, the first thing anyone should do in a dental emergency is give Bethel Dental a call. We’ll be able to provide first-aid tips over the phone and schedule an appointment so we can take care of you right away. 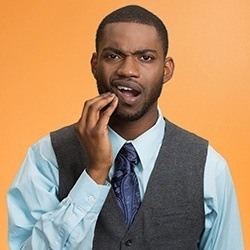 Before you’re able to make it to our office, here are a few tips to get a handle on some of the most common dental emergencies. 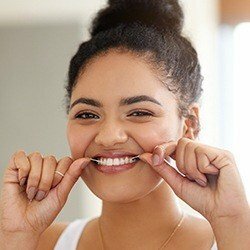 A toothache can sometimes be caused by something being stuck in-between the teeth, so gently rinse and floss around the hurting tooth and see if this helps. If it doesn’t, a bag of ice on the face or an over-the-counter pain-reliever can help manage any discomfort before you reach our office. This type of injury is often the result of a sports accident or biting into something hard. First, try to find and recover as much of the tooth/teeth as you can. Put the pieces in a safe container and try to come see us as soon as possible. Place some dental wax or a wet cotton ball over the tooth if it has a rough edge that is causing irritation in the mouth. Fully knocked-out teeth can often be put back into place, but time is of the essence. Ideally, we should see you within just an hour or two of the accident. Recover the tooth, gently rinse it off, and try to place it back into its socket. If this isn’t possible, put it in a container of milk or saltwater—the tooth must remain moist to keep it alive! Pick up the filling/crown, run it under some water, and try to put it back into its original place, holding it there by keeping the mouth closed. To help with this, a small amount of toothpaste can serve as a type of temporary adhesive. Wear a protective mouthguard whenever you play sports, including “non-contact” ones like football! Don’t bite down on hard items like ice, fingernails, pens, and pencils. Don’t use your teeth as tools to open packages, access bottles, or remove tags. Consistently brush and floss your teeth to keep the enamel healthy and resistant to decay/damage. Come to Bethel Dental for routine checkups and cleanings so we can stop a small problem from turning into an emergency later! 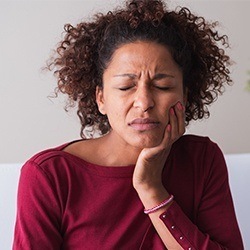 The cost of treating a dental emergency can vary quite a bit from patient to patient, depending on their particular situation. For example, some minor toothaches can be taken care of with just a small filling, while more severe infections may call for root canal therapy and a dental crown. If you ever need emergency care, we’ll go over your options so there isn’t an unexpected surprise when it’s time to pay.